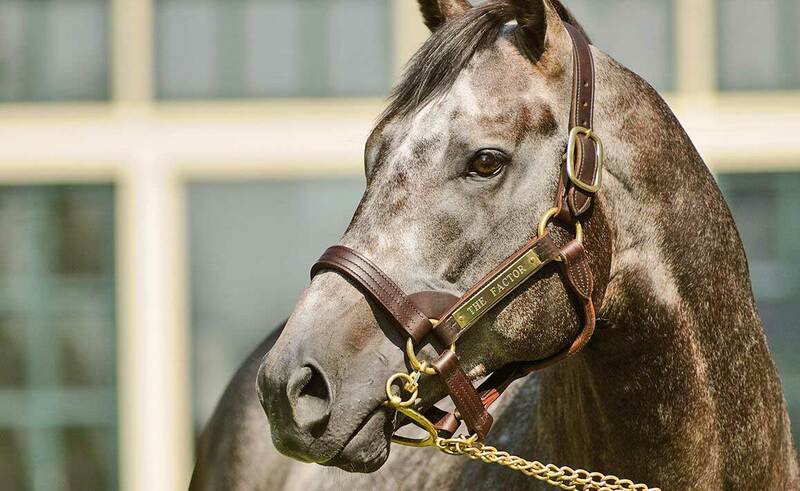 The Factor is the leading general sire in by black-type horses in 2019, and leading fourth-crop sire in America by black-type winners (seven), G1 horses (two), winners (123), and earnings, with over $6,000,000 in combined earnings from his offspring. He’s the sire of G1 winner Noted and Quoted, as well as graded winners Bound for Nowhere (G2) and Multiplier (G3). 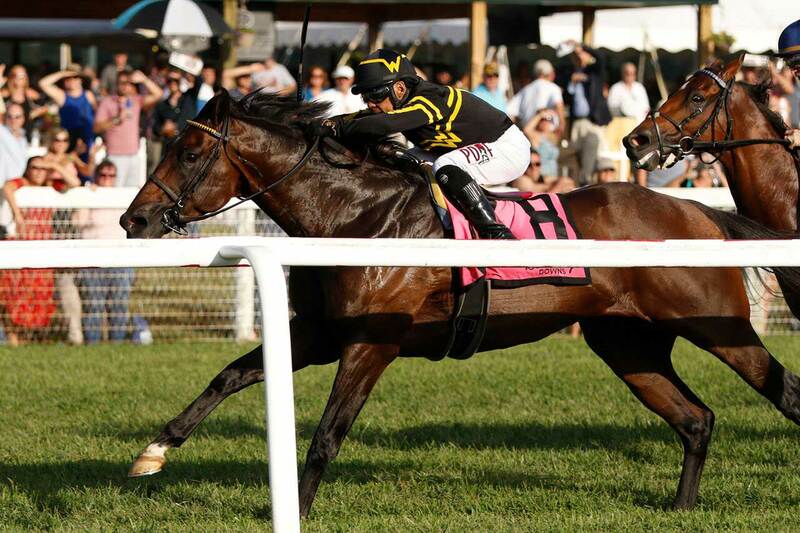 The Factor has proven to be successful at auction, with over 60 six-digit yearling sales up to $750,000. 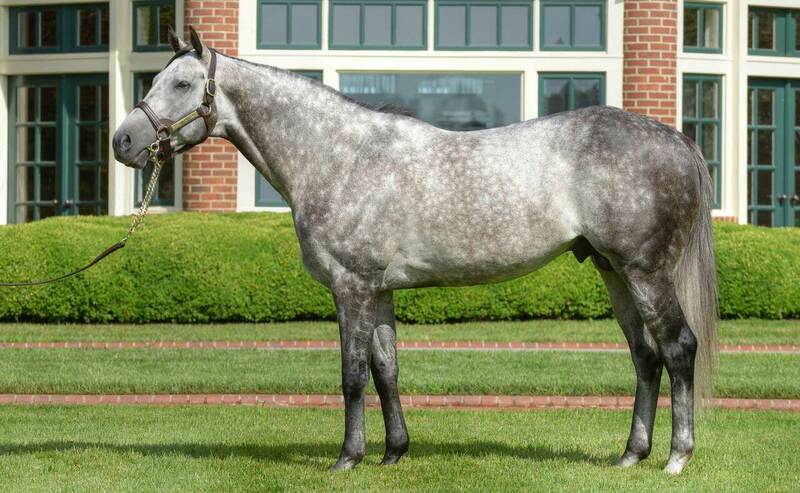 The Factor is a son of top sire War Front out of the Miswaki mare Greyciousness. War Front has enjoyed considerable success when bred over mares from the Mr. Prospector line, and has group winners from mares by Fappiano grandson Unbridled’s Song. War Front has a Grade 1 winners out of a Forty Nine mare and a daughter of Smart Strike, as well as stakes winners by daughters of Kingmambo and Pulling Punches. WON a maiden special weight race at Santa Anita (6 fur., in 1:06.98, NTR, by 8 1/4 lengths, defeating Houston Harbor, Cook Inlet, Red Sharp Humor, etc.). WON Malibu S. [G1] at Santa Anita (7 fur., in 1:19.89, by 3 1/2 lengths, defeating Rothko, Associate, Luckarack, etc. 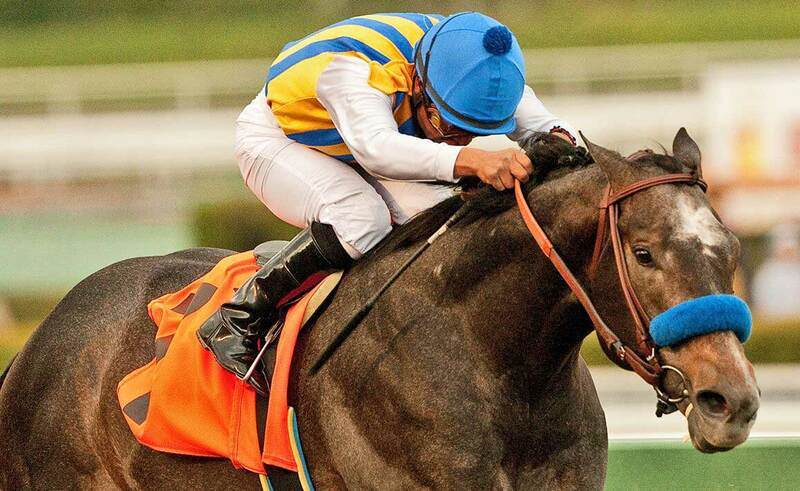 ), Pat O’Brien S. [G1] at Del Mar (7 fur., in 1:21.56, defeating Camp Victory, Crown of Thorns, Smiling Tiger, etc. ), Rebel S. [G2] at Oaklawn Park (8 1/2 fur., in 1:42.19, by 6 1/4 lengths, defeating Caleb’s Posse, Archarcharch, Saratoga Red, etc. 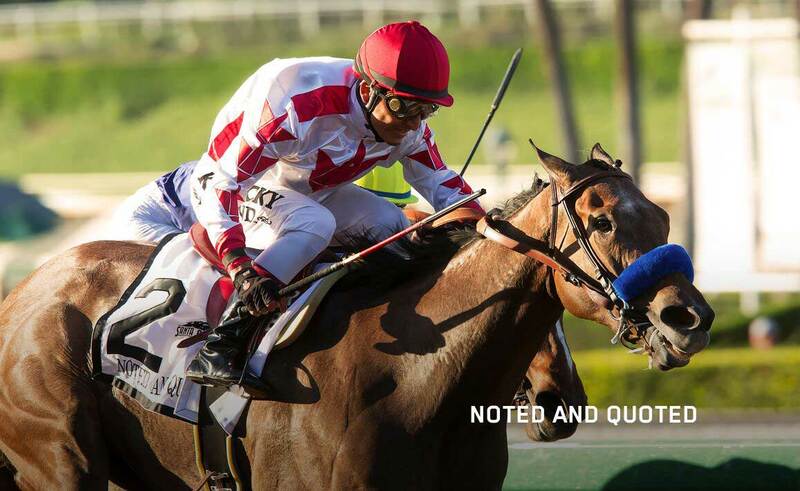 ), San Vicente S. [G2] at Santa Anita (7 fur., in 1:20.34, defeating Sway Away, Premier Pegasus, Surrey Star, etc.). 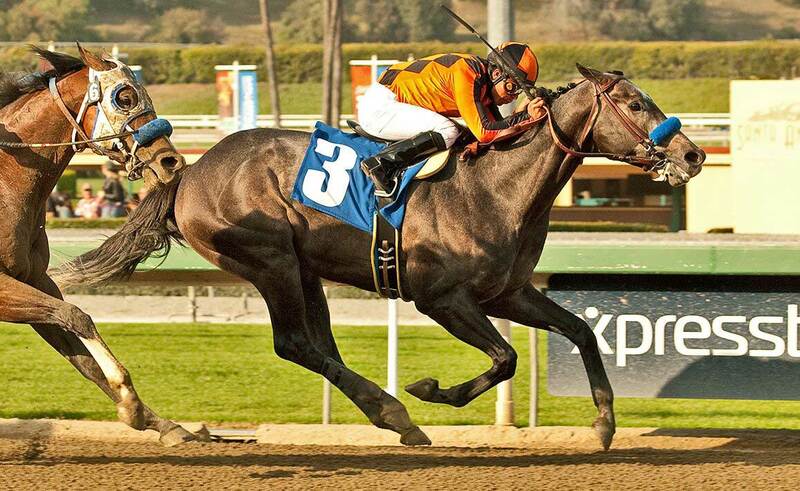 WON San Carlos S. [G2] at Santa Anita (7 fur., in 1:20.56, defeating Sway Away, Amazombie, Canonize, etc. 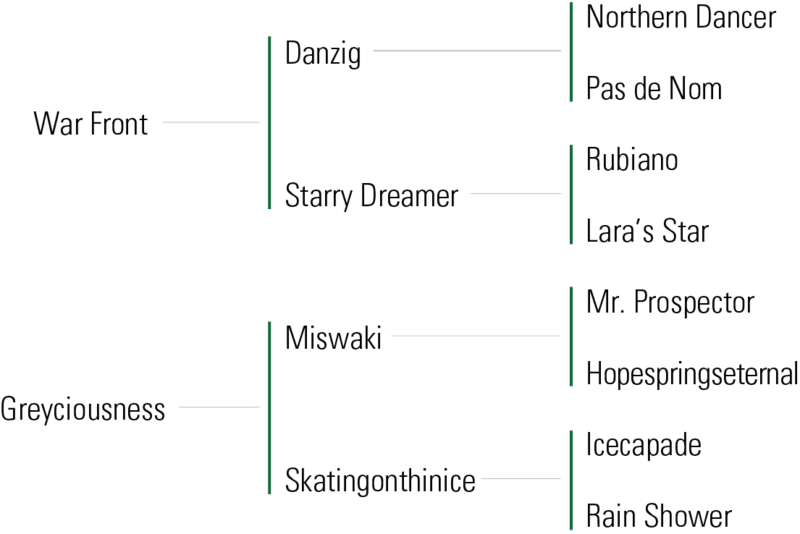 ), 2nd Bing Crosby S. [G1] at Del Mar (6 fur., to Amazombie, defeating Capital Account, Comma to the Top, Don Tito), Triple Bend H [G1] at Betfair Hollywood Park (7 fur., to Camp Victory, defeating Mobilized, Tres Borrachos, etc. ).